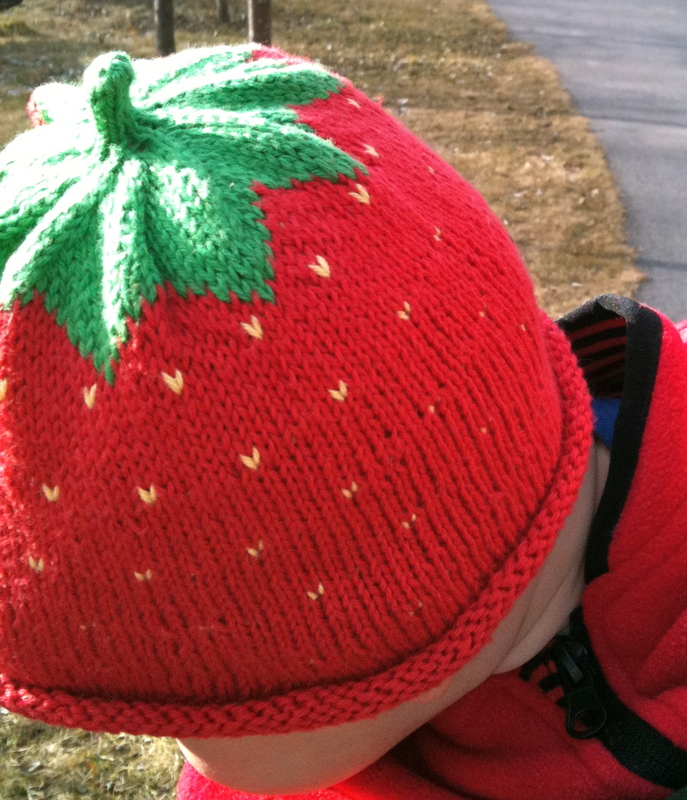 This hat is so cute I'd like to eat it. No, seriously. When I first started dating my husband, the first thing he said when we talked about children in general was that if he ever had any, they would all wear strawberry hats. I sort of agreed, but didn't explore the subject any further (Did he mean at all times? To bed? Until what age?). But when our first son was a baby we must have forgotten all about it, because he never had one. No worries though, we're making up for it with baby I who can't escape this cute creation. I haven't knitted this one myself, but if you want to give it a go there are several free patterns online. If you have a link to a pattern that you've tried and liked (or disliked! ), please share it in the comments field! I might want to knit one myself (maybe a blueberry one? ), and I bet there are many others who'd like to try it as well. Am I right? 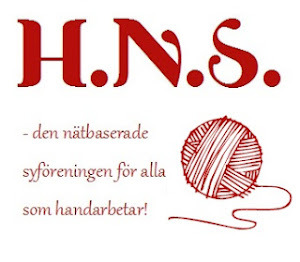 Summary in Swedish: Denna sockersöta jordgubbsmössa pryder nu bebis I. Det var på tiden, vi glömde helt av det när A var mindre. Jag har inte stickat den själv, men gratis mönster finns på nätet. Tipsa gärna i kommentarsfältet om ni har något favoritjordgubbsmössemönster, eller har provat ett mönster som inte blev bra.